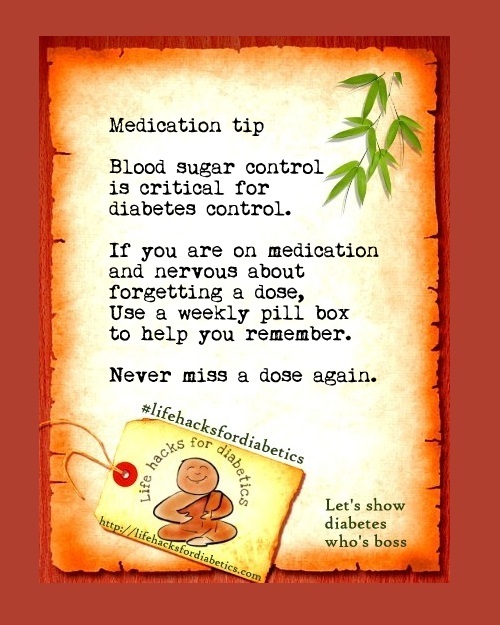 Blood sugar control is critical for controlling diabetes. If you are on medication, I know how hard it is to sometimes remember to take your medication – or worse, feeling unsure whether you did take it. Or not. No need to feel nervous about forgetting a dose. Just use a weekly pill box to help you remember. If it is empty, you’ve taken your meds. If it isn’t, you know what to do. Never miss a dose again!